The KBT Realty Group Buyer Book is the Homebuyers Passport for the Journey to Find Your New Home. Your KBT agent gets questions answered, sets appointments, and makes your home search fun. Your agent sets property showings, visits Open Houses with you, and talks to builders' sales reps.
A Broker/Realtor works in your best interest, manages communications, and handles negotiations. Your KBT Realty Group agent presents and negotiates offers, and coordinates smooth closings. 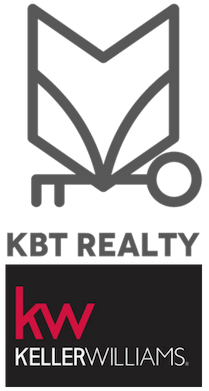 KBT surrounds clients with specialized professionals for the entire buying process. The KBT Realty Group Promise: Our people and systems focus on a world class experience for you. Our buyers enjoy the world-class KW culture and commitment to service. KBT Realty Group gives buyers a home search advantage. Call us to get your passport, at 910.400.3009.